The technology behind the Trusted Partner Network (TPN) — the industrywide content security initiative geared toward helping companies prevent breaches and leaks of pre-release film and TV content — will be a discussion highlight Oct. 4 during the Hollywood Innovation & Technology Summit (HITS) Fall event in Los Angeles. Part of a dedicated afternoon track on TPN — a joint venture of the Motion Picture Association of America (MPAA) and the Content Delivery & Security Association (CDSA), one that aims to elevate the security standards of the industry’s production and distribution supply chain — will focus on how those involved with TPN are approaching app and cloud security. Here’s a look at what to expect during the TPN workshop, beginning at 4 p.m.
• “Trusted Partner Network 101” will see the heads of TPN offering a broad view of the initiative, as well as a program update, highlighting the nearly 500 entertainment services companies that are in the TPN assessment process. 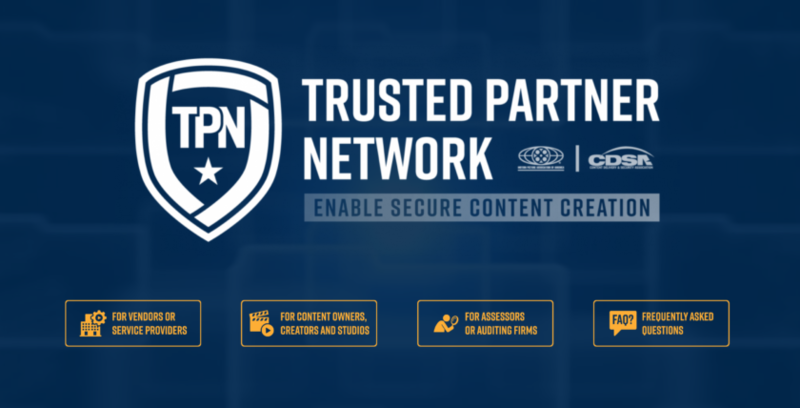 Guy Finley, CDSA executive director and CEO of TPN will be joined by Kurt Fischer, director of content security for the MPAA and TPN COO, and Ben Stanbury, CDSA chairman, TPN CTO, in the discussion. • Keith Ritlop, chair of the TPN App & Cloud Subcommittee and TPN Technology & Development Advisory Committee, will give attendees a look at how TPN is addressing the wide range of security protocols employed by vendors, offering a clear and consistent set of controls, ones that dovetail into existing industry standards and protocols. His presentation — “Securing the Tech: TPN’s App & Cloud Initiative” — will provide crucial answers to industry security questions around daily workflows and processes. • In the presentation “We’re All Guardians of Our Industry’s Content,” Cyril Rickelton-Abdi, chair of TPN’s Community & Outreach and Advisory Committee, will discuss the progress being made with TPN’s Guardians program, a security education and collaboration network for individuals involved in content production and distribution. More than 150 TPN vendors have already appointed a company Guardian as part of TPN, tasking them with developing and managing education, training and community programs. In total more than 1,000 senior studio executives and their technology partners attended last year’s HITS Fall, making it the largest industry conference of the season in Los Angeles. HITS Fall will also host membership meetings and technology briefings for both TPN and Entertainment ID Registry (EIDR).